Huda Kattan recently announced Huda Beauty "elevator makeup challenge," where you can win $5,000 for nailing a makeup look while riding an elevator. Time to start practicing your elevator makeup. Huda Kattan, the founder of Huda Beauty, starts a new challenge, elevator challenge. 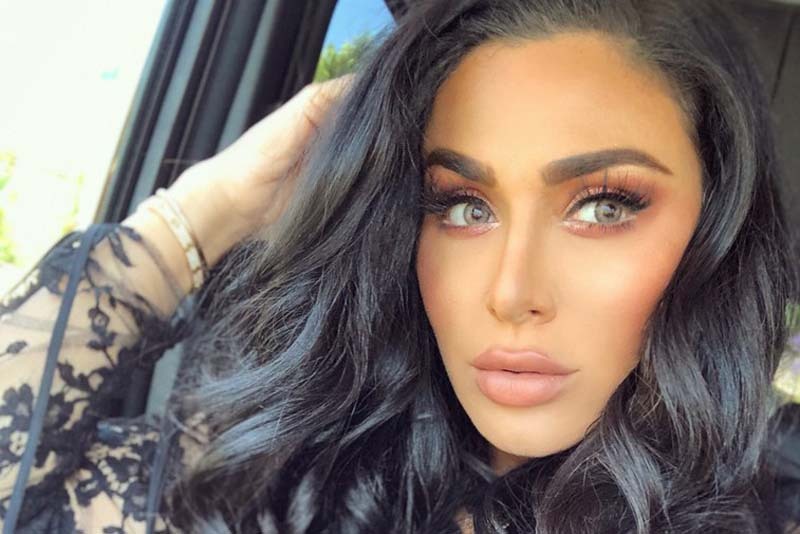 All those years of doing your makeup at lightning speed to get out of the house in time may have finally come in handy, because Huda Kattan's latest video just might become the next viral beauty trend — and it comes with such an important backstory. [post_ads]In an Instagram video posted on July 18, Huda Kattan announced the #ElevatorMakeupChallenge, in which she'll be giving one lucky winner a $5,000 prize to go towards a makeup scholarship, training course, or charity of their choice for successfully being able to nail a full face beat in the time it takes to go from the top to bottom floor of a building. Sounds simple enough, but time flies when you're trying to nail a winged liner in under two minutes. To enter, all you have to do is upload a video of yourself and include the #ElevatorMakeupChallenge hashtag between now and July 27. Huda will be selecting three finalists, and from there, her followers will get to pick a winner on her blog. If you need some inspiration before taking your own version of the challenge to the streets, it's worth watching this video approximately 1,000 times... and paying close attention to how Huda is cool as a cucumber, even as she does her makeup in the back of an elevator.